Pictured: Two pictures of Fr. Kramer: working at St. John the Evangelist in later years. Also: Either Fr. 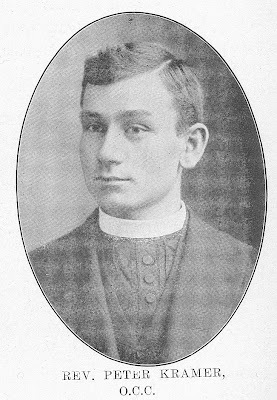 Murphy or Werner in the interior of St. Anastasia's, about 1918. 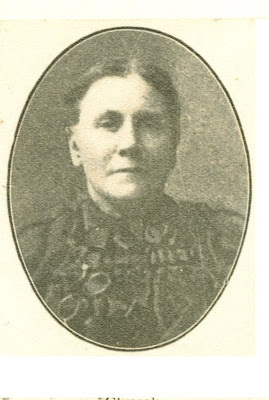 Date taken from newspaper containing photo, which stated: "Anastasia Kelly died 9 years ago." “[The] Montgomerys went to St. Anastasia Church. 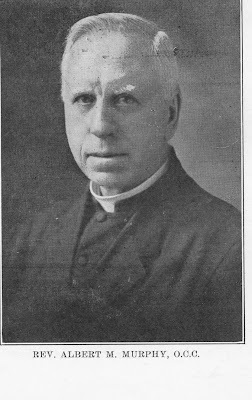 Used to got up early on Sunday mornings, make a fire in the hot air furnace, pump out the cellar and then go over to DeGraw Ave. in horse and buggy and pick up the priest--Father Peter.” Milton Pinkham, Oral Histories of Teaneck. "The first pastor was Fr. Peter Richard Kramer (1908-1913). He was born in Bavaria, I remember the original St. Anastasia Church. It was small. Donated by Mrs. Kelly. The sacred vessels were kept in our house. There was no water in the church so my father would take a pitcher of holy water over to the church--hoping in the winter that it wouldn't freeze…I remember Selvage Ave. when it was a daisy field. Father Peter used to come over from Englewood and we'd have our catechism in the daisy field.” Miss Jane Sullivan, Oral Histories of Teaneck.After leaving St. Anastasia’s, he worked in numerous mission churches for 12 years until he was made superior of the Carmelite community in Pittsburgh. 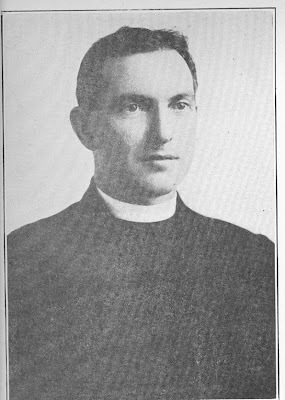 He came back to Bergen County in 1929 to be pastor of St. John’s, Leonia, where he stayed until he died in 1951. Pictured: Parishioners, most likely, 1920s. Fr. 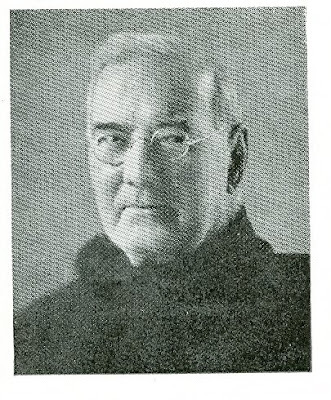 Benedict O’Neill (1921-1933) focused on a church building fund. 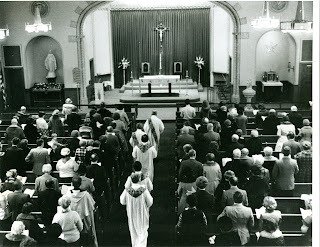 Attendance at Sunday Mass had increased so much that an enlargement of the original building was done. Fr. O’Neill’s first major undertaking was the expansion of the original church, doubling its seating capacity. A transept, spire and basement were added. Inside the church, a spired wooden altar was framed with leaded windows that filtered the light on parishioners who most likely walked to Mass. Pictured:expanded church. In 1924, Fr. O’Neill purchased the Robinson estate south of the church for $25,000, and after remodeling the house, became its first resident pastor. 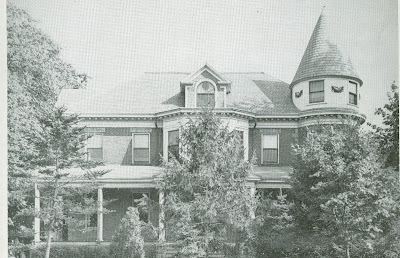 This rectory was razed in 1973, and was over 100 years old at the time of its demolishment. Robert N. Morrill, Oral Histories of Teaneck, 1970. Three handwritten journals (Announcements) from priests who served from 1914-1933 listed all the announcements of social, religious and local events made at Sunday Masses. These documents, which have much in common with today’s Sunday Bulletins, relate such different circumstances as the facts that parishioners paid pew rent, had a published monthly collection—and occasionally had events canceled due to a lack of coal to heat the church. Announcements made of social events from 1914 to 1918 showed that parishioners had Sunday school for children immediately after Mass every week (unless it was canceled due to weather). Boys and girls were taught separately; men and women gathered separately for committee meetings. Events included Holy Name parades and Rosary Altar Society gatherings for holiday altar decorations. Papers and magazines (Our Sunday Visitor, the paper; Scapular, the magazine) were sold in the rear of the church every Sunday. Fr. 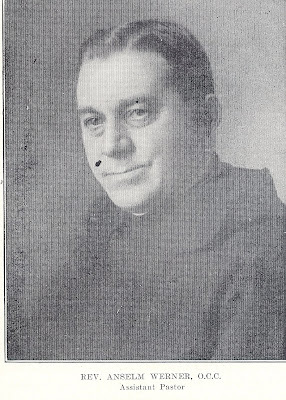 Benedict O'Neill was pastor in St. Therese Church, Cresskill, from 1936 to 1945, died in 1949 and was buried in Mt. Carmel Cemetary, Tenafly, NJ. Teaneck, by 1930, had quadrupled its population to 16,513 residents. Route 4 and the subsequent opening of the George Washington Bridge in October 1931 brought home-seekers to Teaneck and made it the fastest growing community in the state at the time. The parish’s spaces were so strained and attendance at Sunday Mass had increased so much that a new church became essential for the parish. Planning for the new church showed anticipation of future parish needs with an architectural drawing of an auditorium planned for a school. 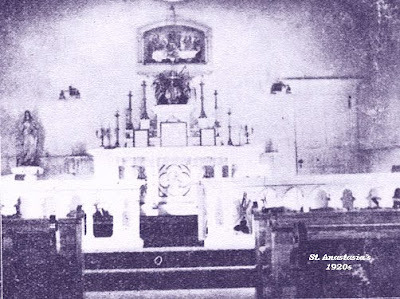 St. Anastasia became an independent, rather than a mission parish in 1931. The church was built and dedicated in 1932. The finished building housed its first Mass on Thanksgiving Day, November 24, 1932. The brick-faced and steel-framed building is in the style of Late Romanesque Revival and is listed in the Teaneck Historic Sites Survey. It had a seating capacity of 500 in the upper church. 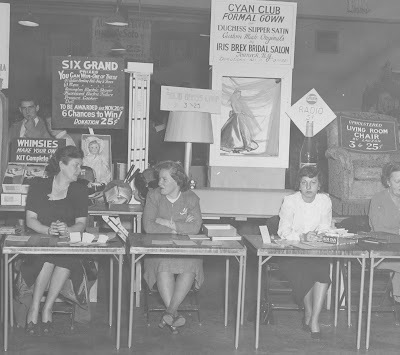 There was a large basement finished as an auditorium to serve all parish activities. Inside the church, a 20 foot high wooden altar crowned with spires was the center of the sanctuary, separating the congregation from the altar with a marble-surfaced railing. The left altar was dedicated to the Blessed Virgin; the right altar was to St. Joseph. The windows were simple leaded glass, to be replaced in the 1970’s by faceted glass. Confessionals were in the back of the church on either side of the entrance. Seating for the priest and altar boys during Mass was on the Epistle (right) side of the sanctuary. The choir loft was located in the rear of the church, and housed the choir until August 2008. Then, the choir moved to the front of the church. The baptismal font was located in the sacristy to the right of the sanctuary. The cost of the building was approximately $100,000, which was partially covered by compensation received from the state when it exercised its right of eminent domain, taking over a strip on the south side of the parish property in the late 1920’s for the construction of Route 4. 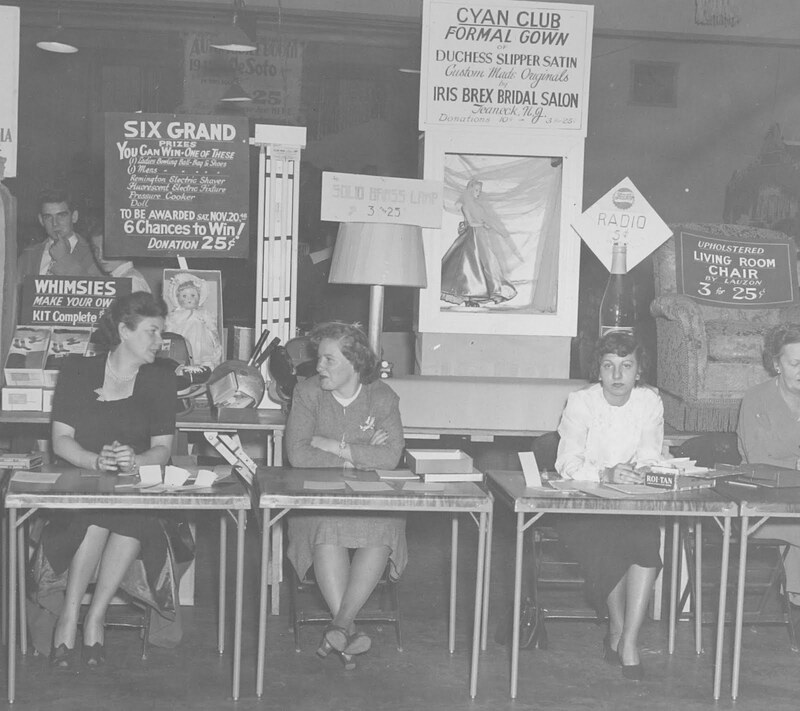 The Annual Bazaar took place the following week, with profits aimed at reducing the building debt. 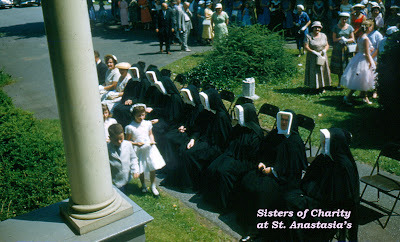 “We went to catechism in the little old St. Anastasia Church on Sunday afternoons the nuns had classes. In those days all businesses were open on Saturday and my father was open a half day on Sunday.” Eva Lebeck. 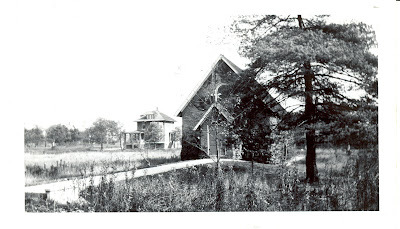 St. Anastasia's R. C. Church, Teaneck, N. J.Published by S. K. Simon, 114 Wooster St., New York.From the Local History Collection, Teaneck Public Library, Teaneck,NJ.Used with permission. Fr. Silverius Quigley became pastor in 1933, coming from St. Cecilia’s in Englewood. 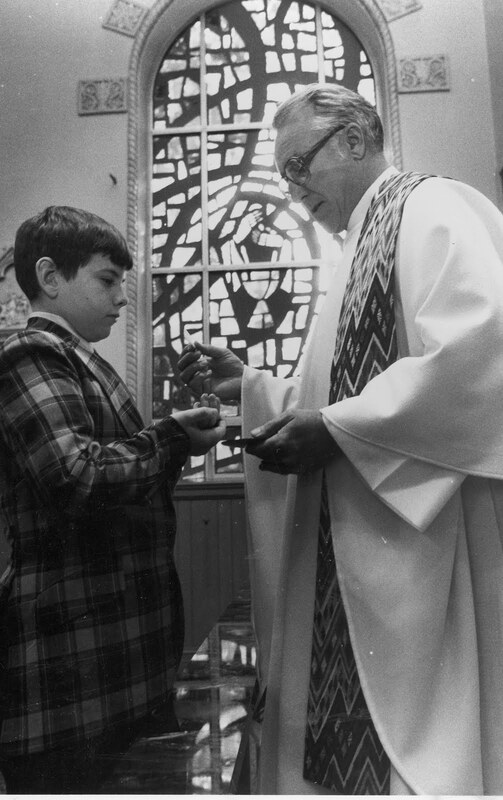 He had served St. Cecilia’s first as assistant and then prior and pastor for 24 years. He brought many ideas with him, including the famous "tombolas". Fr. Quigley stayed at St. Anastasia’s for 27 years. 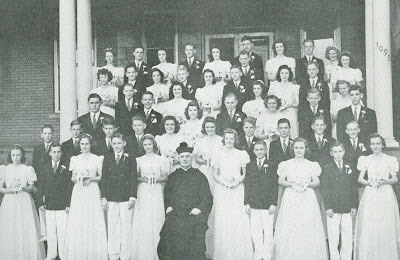 By 1936, St. Anastasia had its first graduating class. The first kindergarten to 8th grade class graduated in 1941. Tombola Committee of 1935 ( or 1936, confusion on inscription as "1935-or 6?") First row;Fr. Quigley, Joan Thyne, __, Mary Birch, Dr Jas. Somers. 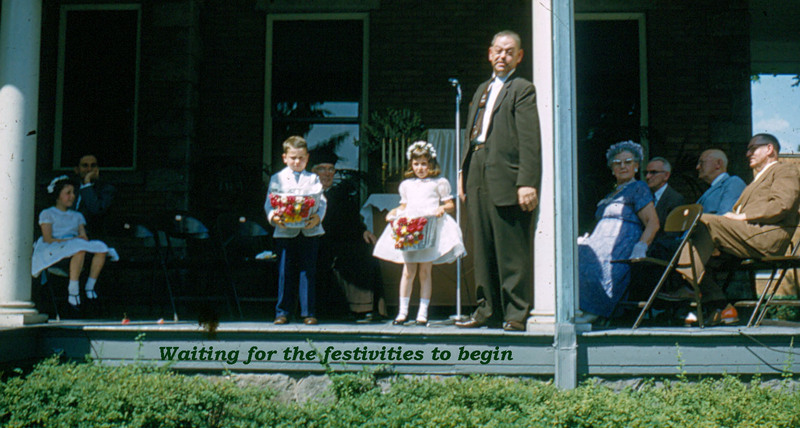 Row 2: _____, Joe Kelly,___, ___, ___, Mrs. Mae Sweets, Mrs.Flannerty, Ted Sweeney. Row 3:Fr. Dominic, Ross Hewitt, Mrs. Jones, Mrs. Philip Namm, Fred Schenck, Justin Lewis, Mrs. Ray. “Tombola” means a “festival” or “fair” in Italian. Fr. Quigley brought this idea with him from St. Cecilia’s in Englewood, and used it successfully to draw St. Anastasia’s parishioners into events similar to the Bazaars of the past. In 1940, Teaneck had 25,215 residents. Fr. Quigley added a parking lot to the church’s properties. An architectural drawing in St. Anastasia’s collection shows the diagram of the lot, with spaces for 39 cars, all parked diagonally, each space 8 feet in width. 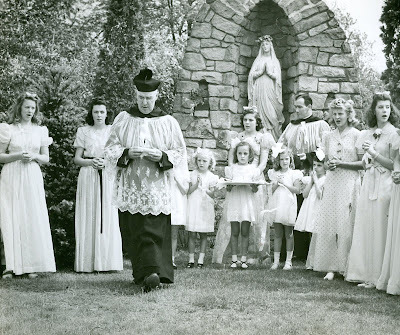 By 1950, 33,777 people lived in Teaneck ---and Catholics crowded masses. More Masses were needed. Fr. Quigley suggested that the lower church, originally a meeting place for societies and activities, be converted to a place of worship to accommodate the large numbers of worshipers attending Mass every week. Masses were held simultaneously in both the upper and lower churches. Pictured: Tombola Tattlers, 1936. This was a weekly parish publication during the Tombola publicity season. Fr. Quigley at his Golden Jubilee. The original rectory is the setting. Waiting for the Festivities to begin. 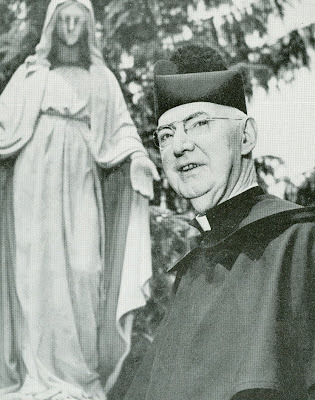 In June 1953, Fr. Quigley celebrated the Golden Jubilee of his ordination to the priesthood. It was marked by a celebration neld on church grounds at the Rectory, prominent members of the church and community came to celebrate his 50 years as a Carmelite priest. He continued to supervise the parish functions and to enforce a strict code of maintenance of buildings and property. 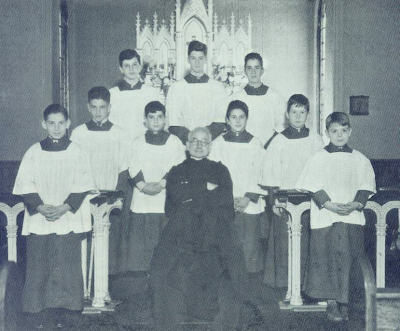 He died in Teaneck on Dec.23, 1960, having spent 57 years in the priesthood, 27 of them at St. Anastasia. 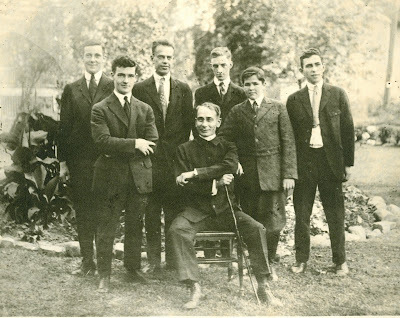 Jim Bishop was a member of the Jubilee Committee, and he documented the life of Fr. Quigley, including the fact that Fr. 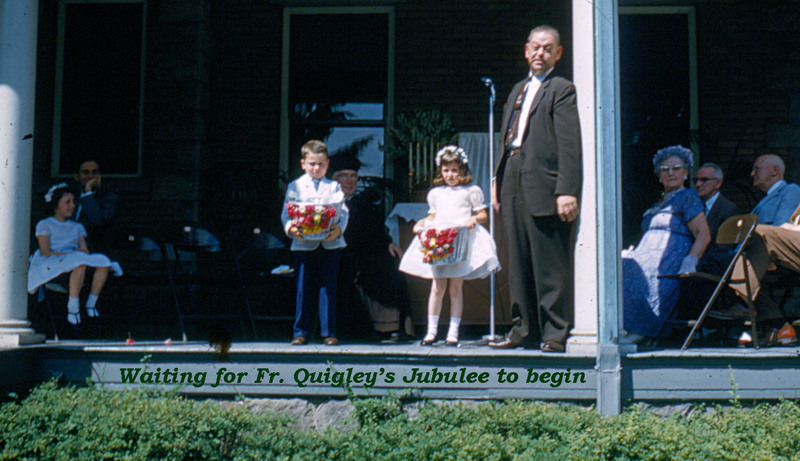 Quigley’s father, Pat, became a Carmelite Brother in later life. 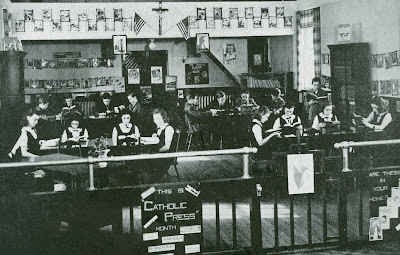 The increasing numbers who presented themselves for enrollment in the parish school each year filled the temporary classrooms far beyond their standard quotas. Nothing could solve this space problem except providing more temporary classrooms or building an entirely new school. Ground was broken in October 1950 for a new school, which included 16 classrooms, plus a kindergarten, medical room, teacher’s room, library, and auditorium, built at a cost of $750,000. 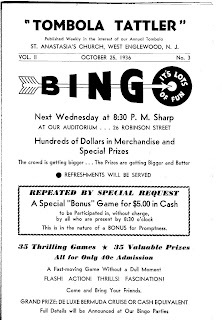 It was ready for the pupils in September 1951. The school auditorium was named after Fr. Quigley decades later; the auditorium in the church became a large chapel, until it was part of 21st century restructuring as the Redmond Center. 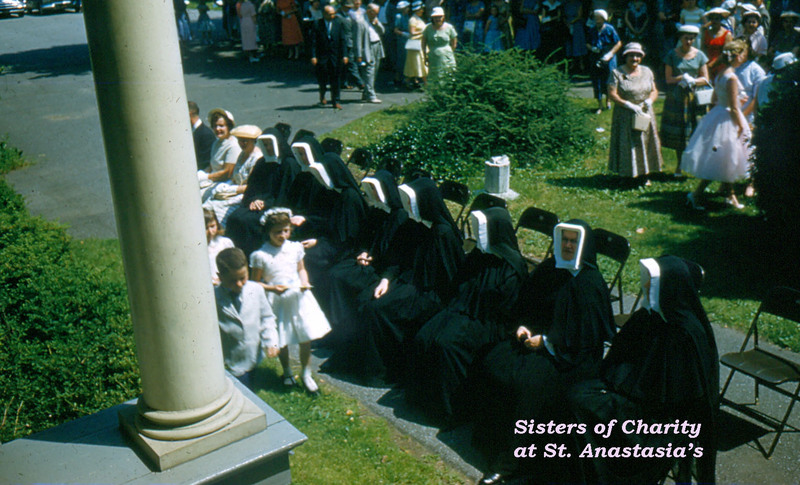 One of the most tragic events in the history of St. Anastasia was the burning of the old school in the summer of 1951. At the time, the new school was being built right next door. The firemen fought to save the little old church, which was a repository of parish and school books and records. Damage was about $40,000. Dr. Barnett Bookstaver, Teaneck’s health director, died of a heart attack during the fire. 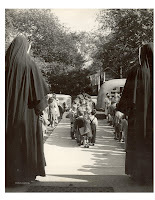 The convent on Jerome Place also became overcrowded, and with the increasing number of sisters necessary to staff the new school, a new convent was needed. 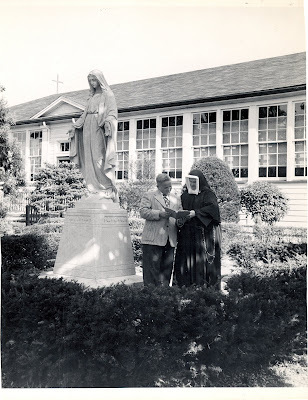 It was located behind the church and constructed at the same time as the school for a cost of $350,000 in 1951.It was to become the present rectory in the 1970’s. Picture 1: Outside the old school on a spring day. 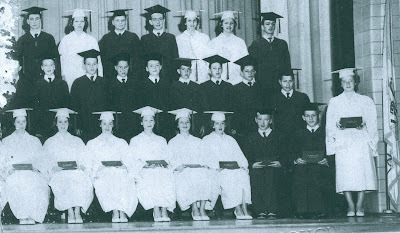 Picture 2:Graduating Class 1954. 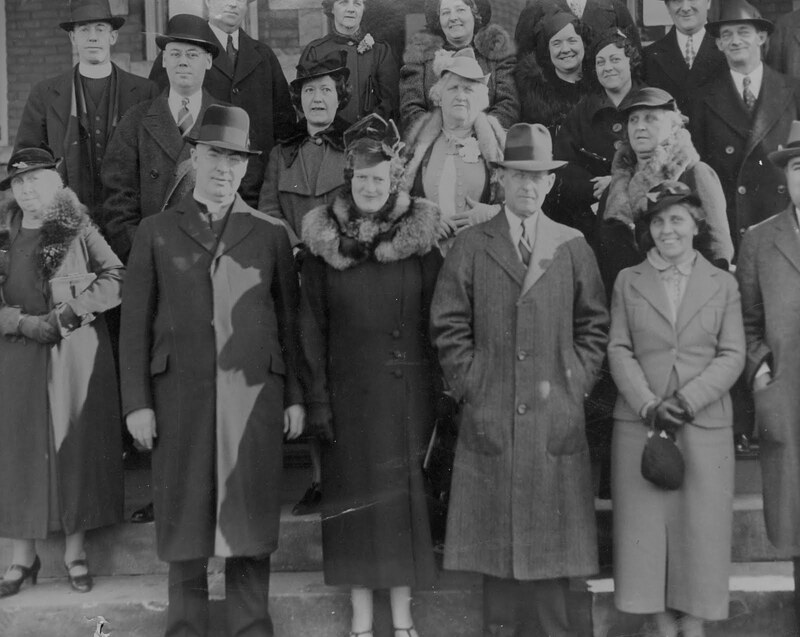 First Row: Lois Studley, __; Nan Kelly, Carole Newton, Mary Ann Ryan, Bette-Ann Anderson, Thomas Sheehy, Gary Wiley,Rosemary Alfano, Second Row, fifth from left:Michael Downs, sixth from left David Sturgis, eigth from left, Mark Cassisy. Third Row: James Donnally,fourth from left,____ Foley; fifth from left, Diane Simmons. 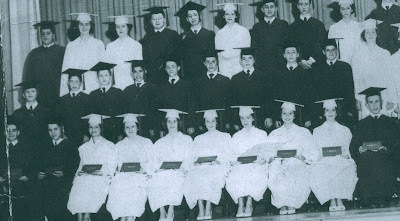 Picture 3.Graduating Class 1954.On extreme left: Marianne Musnuff. First Row: John O'Leary, Joseph Lux, Lee Milio, Maureen Mahoney,___, ___, _--, ___Kathy Habig, Cindy Smith, Carol Flannery,Brendan McCrane.Cut off: Joe Hertel. Second Row: Left end: Paul Smith, ___, _____, Leonard Agostino, James Balquist, ___ ___, Tom Mason, Vincent Battle, Arleen Whitehead, Brenda Montgomery. Third Row: Frank "Buddy" Bartoletta, ___,___, Robert Wallace, ___, Lois Blankenstein,John Seitz, Brian Marshall. Thanks to Maureen Mahoney for these two graduating class images--and the identification of so many . 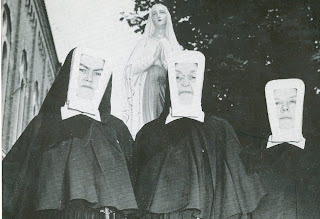 Picture 5: Three Sisters of Charity, the order that first came to the school. 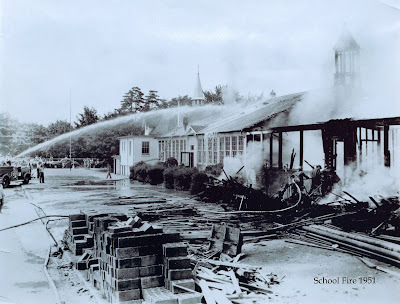 Picture 7:Scene of the school fire. Photo: Copy produced by Fr. Bill O'Malley from original. In 1960, Teaneck had 42,085 residents. Fr. 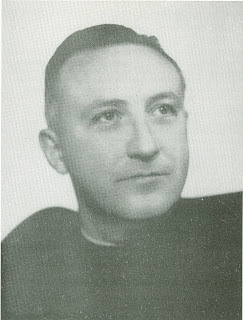 Henry Goodwin came to St. Anastasia in 1954 as an assistant to Fr. Quigley in matters of administration. He had experience in serving St. Joseph’s in Bogota, His military background and wide experience in education were valuable assets to the parish. During this period the school enrollment continued to expand. Fr. Henry’s genial nature and rapport with children made him invaluable to the sisters and teachers. Fr. Henry succeeded Fr. Quigley as pastor in 1960. As the impact of the decrees of Vatican II began to be felt, the parish realized that a whole new concept for the Church would take shape. A greater, sometimes confusing, role was offered to laity in participating in the decision-making processes of St. Anastasia’s. Perhaps ultimately what it accomplished, in the words of one parishioner, was to give all a chance “to grow up” spiritually. The first visible sign of a major shift in thinking about “parish” can be seen in the change in the altar. 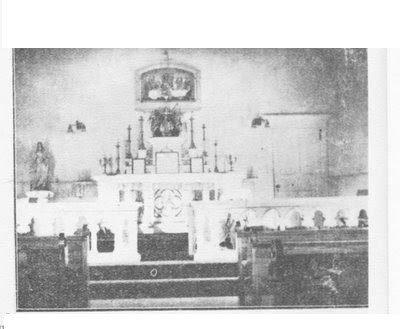 In 1967 the old altar was removed and a simple table altar was placed forward in the sanctuary. The railing was removed, and a minimal onyx and brass rail indicated a reduction in the gap between clergy and laity. The altar that was replaced was twenty feet high and replete with carvings of the Blessed Virgin. 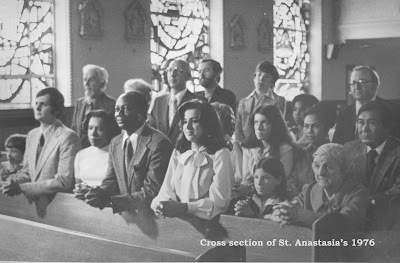 In the ‘90’s, St. Anastasia’s has been catholic in diverse ways with liturgy. The parish has hosted among other liturgies, Simbang Gabi, or the Filipino Christmas tradition of nine dawn masses; Gospel Masses; and weekly children’s liturgies. Interfaith services, including Thanksgiving and a Seder, were celebrated. In 2008, these and other liturgies continue to be practiced. Fr. Joel and Pat Duncan: Introduction of taking Communion in the hand. Pictured : Fr. Joel in 2008, first on right, with suceeding pastors: Dan O'Neill, Hillary Milton and Tom Jordan. Archbishop John J. Myers: right.Centennial Anniversary Mass, Nov.1, 2008. In 1969 Fr. Joel Schevers was assigned to St. Anastasia to fill the vacancy left by the departure of Fr. Henry. Fr. 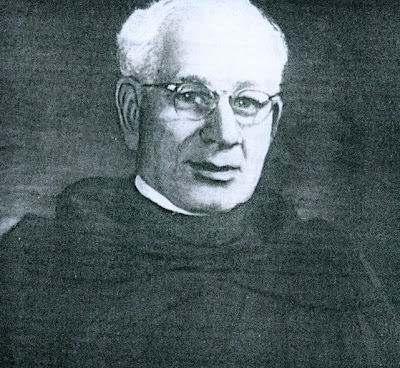 Schevers had experience as a parish priest, high school and seminary teacher, mission band preacher, shopping center chapel director, and even a contemplative, spending a year in the 1950s as a member of the original core group of the International Carmelite Contemplative Hermitage in Austria. Unlike the pastors before him, he was new to this area and quickly recognized that he could not simply “replace Father Henry.” He had to establish himself as the new spiritual leader of the parish and in the words of a current popular song of the time, he had to insist that “I gotta be me." "to pray regularly for each other and to share in worship experiences, in educational opportunities, in personal fellowship, in the use of physical facilities . . . and to seek to deepen and extend this fellowship among all of our members as the Holy Spirit leads us into all truth." LARC congregations joined in this Covenant in 2008 include St. Mark's and Christ Episcopal, St. Paul's and Grace Lutheran, and St. Anastasia’s. The most dynamic developments of this period include the development of the Parish Pastoral Council. In 1970 Fr. Joel encouraged the establishment of a steering committee to build a foundation for a parish council. 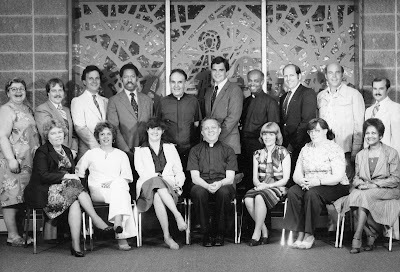 In a parish-wide election in 1971, the first council was installed, one of the first in the diocese. Composed of clergy, members of the parish staff and lay people, it discussed issues of importance to the parish. The process allowed the parishioners’ voices to be heard and gave the staff and administration of the parish the opportunity to hear and make use of the talents, expertise and experience of lay people.Positions on the council were sought after, and there were election campaigns in which the priorities and interests of the various candidates were aired. St. Anastasia became a “model parish” for others to follow. Teaneck’s population showed a slight decline from 42,355 in 1970 to an estimated 40,879 in 1976. St Anastasia’s started to use more space for more meeting areas. The Montessori School was introduced in 1970 and was located in the solarium and the community room of the rectory. The Montessori program lasted until May 1989. These rooms were converted into a large sunny and airy classroom ideally suited for young children.The parish had a Board of Education to oversee the school, Montessori, and religious education programs for children and adults as of June 31, 1974. Fr. Joel’s services on township boards and the “Mass for Teaneck” in Votee Park in 1974 were examples of his concern for all the people of Teaneck. Teaneck recognized his dedication and effectiveness by proclaiming him “Citizen of the Year” in 1974 and, in 1978, “Teaneck’s Distinguished Citizen." On June 21, 1992, Fr. 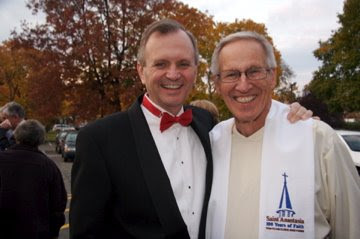 Joel celebrated his 50th anniversary as a priest at St. Anastasia’s. Pictured: Bernie Brooks and other parishioners in a photo taken for a magazine cover---not used. One of the first needs of the community at large that Fr. Joel and the Council recognized was the housing requirements of senior citizens. In July 1972 St. Anastasia joined with Temple Emeth in sponsoring senior citizen housing in Teaneck. The leadership of the two congregations encouraged others to join the project and today, off Cedar Lane, Fairway Terrace represents home to many older citizens who needed one. As a result of the Parish Pastoral Council, hundreds of lay people were involved in parish decisions over the next three decades. The 2008 Parish Pastoral Council is active with 12 lay members and 4 staff members. In 1970, Teaneck had 42,355 residents. 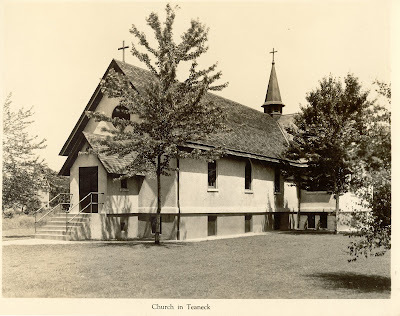 By then, Teaneck’s Catholics came to St. Anastasia primarily by car and came from the parking lot to the church interior using a fire escape entrance. Pictures of the original rectory being demolished appeared in local papers in 1972. 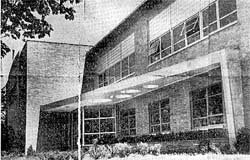 The narthex was added to provide a safer entrance from the parking lot in 1973. 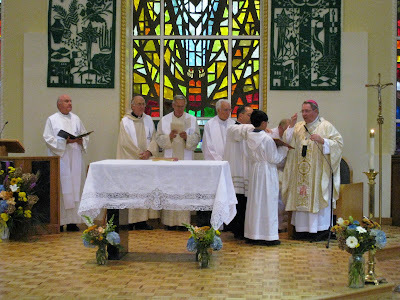 It also provided space for a relocated sacristy so that the celebrant, lectors, servers and song leaders could process down the main aisle to the altar and return to the narthex for a reception line after Mass, symbolic of increasing community. The sanctuary space was also redesigned. The railings were removed, demonstrating that we are one community. The presider’s chair was moved from the back of the table altar to the side closer to the people. Blue draperies were placed behind the main altar. The side altar, once St. Joseph’s altar, now became the altar for the Reservation of the Eucharist and housed the tabernacle. The lower church wall was moved forward, creating space for the Redmond Room, used for Parish Council meetings.The lower church continued to serve the daily Mass goer. However, Sunday Masses were no longer celebrated there regularly. The upper church windows were replaced in 1970 and 1971, continuing the style of the narthex windows.The west windows show wedding rings representing the wedding at Cana, the Holy Family, the Nativity, and the Holy Spirit. 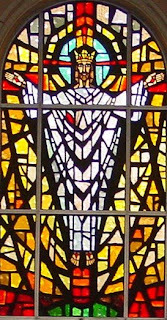 The east windows picture the Crucifixion and Passion, the Resurrection, broken chains representing the broken bonds of sin through penance, and the Eucharist. The confessionals were replaced by the Reconciliation Room;penitent and priest face each other. The Seton Room, built after the narthex in 1973, connected the rectory to the church. A large faceted glass window illustrating Mother Seton illuminated the meeting place. The same year, our present day convent was built as the former convent, dating from 1951, became the rectory. The final structural revision was a permanent canopy connecting the Seton Room and lower church entrances, providing a safe entrance during inclement weather. Archbishop Boland dedicated and blessed these buildings. Pictured: Fr. Cecil with a Parish Council. Cecil Pickert became pastor in 1978. Fr. Paul Kirschner of St. Anastasia’s gathered parishioners who would make trips to the Bowery every Saturday morning. (In 2008, Steve Weisenbach coordinates parishioners who gather baked goods from local bakeries, make soup, pack clothing and make that trip to the Bowery.) Fr. Cecil was also very supportive of the Filipino American Society of Teaneck (F.A.S.T. ), which started in 1979. In the late 1970s, Fr. Cecil continued discussion on refurbishing and remodeling the interior of the church as well as re-positioning the altar on the east wall. The latter move was proposed in response to the recommendations of Vatican II. The purpose of the recommended change was to assure the maximum involvement of the congregation in the services. These discussions met with very strong reactions. 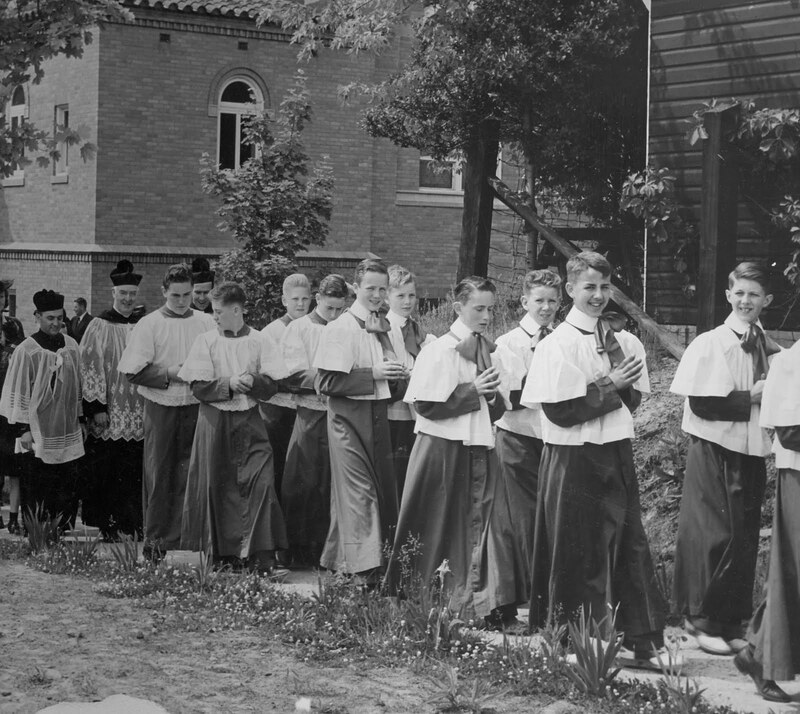 Many people agreed that the changes would bring the central celebration of our faith much closer to the people; others were dismayed at the prospect of removing the traditional altar and losing the long stately center aisle. In 1980, Teaneck had 39,007 residents. In 1983, Fr. 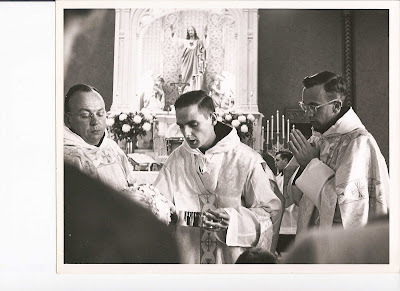 Cecil left the parish, becoming a parochial vicar at Immaculate Conception and St. Joseph Parishes in Kansas from 1984-1987, and pastor there from 1987-1994. He also worked in Our Lady of Mt. Carmel Parish in Louisville, Kentucky. He returned in 2002 to St. Anastasia’s to celebrate a Thanksgiving Mass for F.A.S.T. He retired to Whitefriar’s Hall, Washington, DC and passed away in July 2005. Pictured: Fr. Tom Jordan surrounded with friends from the past. In 1980, Teaneck had 39,007 residents. In 1983, Fr. 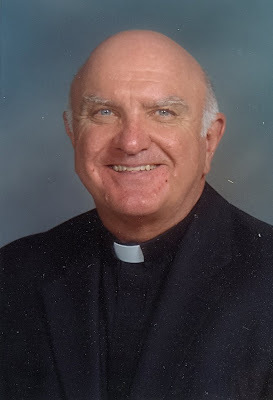 Cecil left the parish, becoming a parochial vicar at Immaculate Conception and St. Joseph Parishes in Kansas from 1984-1987, and pastor there from 1987-1994. He also worked in Our Lady of Mt. Carmel Parish in Louisville, Kentucky. He returned in 2002 to St. Anastasia’s to celebrate a Thanksgiving Mass for F.A.S.T. He retired to Whitefriar’s Hall, Washington, DC and passed away in July, 2005. Fr. Tom Jordan became pastor in 1983---and continued the discussion of remodeling the church. Two sets of blueprints show differing concepts for the refurbishing. One shows an altar brought forward further into the congregation; a second shows a plaza outside the narthex and additional parking to the left of the church. Neither plan was totally realized. In 1987, the work began and included refurbishing and repainting the upper church as well as relocating the altar on a platform centered against the east wall. A Baroque architectural element, a baldichino, was constructed, and hovers above the altar, subtly drawing the eye upward. A new sound system was installed. Slowly the parish became more comfortable with the new configuration. In 2008, a refurbishing, repainting, and relocation of the choir and organ continue the 100-year-old tradition of beautification. Fr. Tom had a deep interest in the welfare of parish youth. Under his direction, the lower church was refurbished for use by the youth of the parish and a youth minister was hired. This effort to serve young people successfully has continued In 2008, Ms. Faith Rose plan many opportunities for faith experiences and social interaction. In the late ‘80’s, the school was facing great financial difficulty. There were fewer nuns available to teach in the school, making it necessary to hire an increasing number of lay teachers at higher salaries. 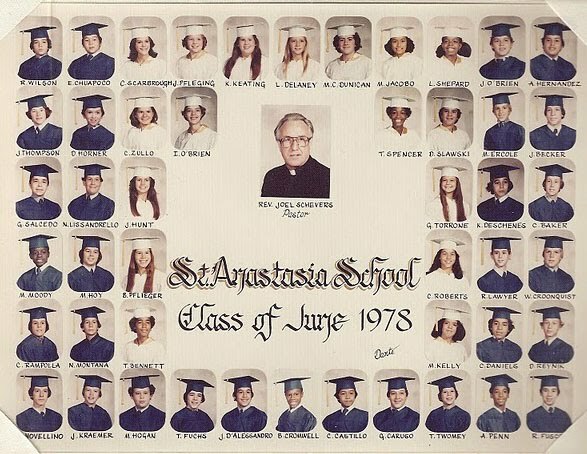 St. Anastasia's School mirrored the 50 percent drop in enrollment in archdiocese schools since the 1970's. For the school to continue, the parish needed to provide the school with ever-increasing subsidies. The Archdiocese recommended that schools across the diocese, facing similar problems, combine into regional schools. After much prayer and soul-searching, St. Anastasia closed its independent parochial school in June 1990. St. Anastasia’s School combined with St. Cecilia’s in Englewood in a regional school, forming St. Cecelia’s Interparochial School. In 2008, the interparochial school continues. The school building would serve many others besides the parishioners. Others who have used the school or the chapel include the Saint Andrew Kim Korean Catholic Mission and the Dar-Ul-Islah Muslim Community, which during Ramadan, prayed at St. Anastasia’s while awaiting the construction of their building. From 1974 to 1999 the African American Center met in St. Anastasia’s School rooms and taught African and Afro-American culture, history and arts to young children on Saturday mornings. By 1998, the former St. Anastasia’s School building was rented to the Community School in Teaneck. This rental provided the parish with a key source of income. It remains the school’s tenant to this day. Currently, the chapel is used for senior lunches, children’s liturgies and Cornerstone gatherings. Known in the past as the chapel, then the Youth Hall,the original church building is known as the ”Little Church” today. In 1990, Teaneck had 37,825 residents. Fr. Tom left St. Anastasia’s, to eventually serve in Mexico City with Carmelite novitiates. Fr. Hilary Milton came to St. Anastasia’s as pastor. Earlier in our history, he had been an associate pastor. His first action was a fiscal overhaul: he strengthened the parish finances so that by the mid-nineties, he wrote in The Bulletin that St. Anastasia’s was out of debt. His stewardship of the parish accounts was unswerving—he let parishioners know exactly where they stood in responsibilities and led ways to gradually restore balance to the books. Another tragedy in Teaneck brought all the faiths together in 1990. Philip Pannell, an African American teen, was shot by a police officer while being chased from the Bryant School yard. The reaction of many townspeople was quick and angry, resulting in many residents reaching out to those affected by the death of Philip. An Interfaith gathering for Philip Pannell was held by all the clergy in town and attended by an overflowing crowd. In the ‘90’s, St. Anastasia’s has been catholic in diverse ways with liturgy. The parish has hosted among other liturgies, Simbang Gabi, or the Filipino Christmas tradition of nine dawn masses; Gospel Masses; and weekly children’s liturgies. In the ‘90s, interfaith services, including Thanksgiving and a Seder, were celebrated. In 2008, these and other liturgies continue to be practiced. In 1995, plans and construction of an elevator began, at a cost of $182,665.50. The elevator was blessed by Archbishop McCarick in 1996, and was intended to serve the parishioners who had difficulty traversing the stairs to the main church. Pictured: Fr. Joe O'Brien, first Mass, Fr. Hillary Milton, right. In 2000, Teaneck had 39,260 residents. In 2002, Fr. Hilary left to go to St. Cecilia’s, where he is now the pastor. In 2002, Fr. Dan O’Neill came to St. Anastasia’s. He was raised in Englewood, attended St. Cecilia's Church and St. Cecilia's Grammar School, He went to the high school seminary in 1957, when he was not yet 14 years old. Fr. Dan said, "Therefore,I have been a Carmelite my entire life." "... Marking 40 years a priest this spring ." He served in high schools in Los Angeles and Chicago, on the Carmelite Mission Band as a travelling preacher and was a vocation director. 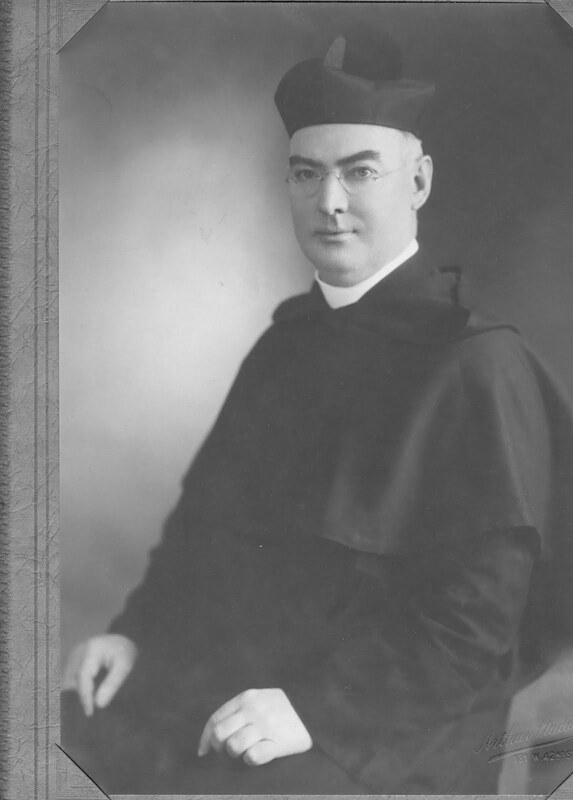 He worked in 4 parishes: St. Joseph in Demarest, St. Mary in Closter, St. Gelasius, an inner city parish in Chicago and now St. Anastasia's.He served on many Carmelite boards and committees and was the Treasurer of the Carmelite Province in Chicago for 6 years.Fr. Dan earned an MA in English from Notre Dame and a Doctor of Ministry from University of St. Mary of the Lake in Chicago. Fr. Dan extended the construction at St. Anastasia’s, with a newly configured parking lot and, in 2007, converted the lower church into the Redmond Center at a cost of $950,000. The Redmond Center is multi-functional, echoing the uses in the 1930’s. A fully constructed kitchen, space for a Mass, portable tables and storage make the Redmond Center useful for everything from Children’s Mass to Fellowship Gatherings.